At Forsyth Nature Center, we want to give you the chance to make your own memories with nature. Forsyth Nature Center is a handicapped accessible outdoor learning center located at 157 Lucas Avenue in uptown Kingston, New York. 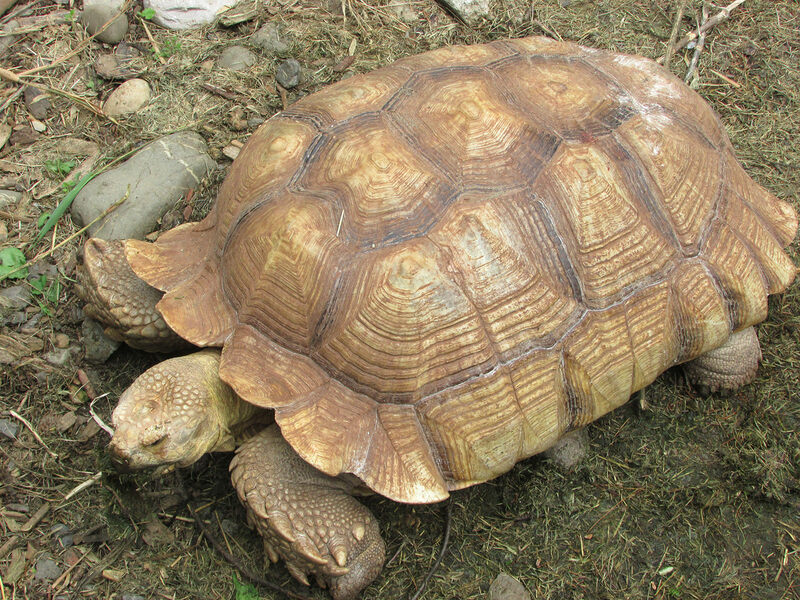 A facility of Kingston Parks and Recreation Department, the center offers more than two-dozen animal exhibits and beautiful gardens that foster a connection to the natural world for visitors of all ages. The center is open year-round and is free to the public. In 1855 the Forsyth sisters donated eighteen and a half acres of land for the park in memory of their father, Ulster County Judge James C. Forsyth. In 1936 the Forsyth Park Zoo opened its gates after a bear wandered into the park and became the popular inaugural exhibit. The Nature Center continues to grow and expand under the management of the City of Kingston Parks and Recreation Department and with support from the Friends of Forsyth Nature Center. Do you remember your first encounter with nature? When is the last time you fed an apple to a steer? Petted an alpaca? Gazed at a flock of geese flying overhead? Felt the softness of a lamb’s ear plant? 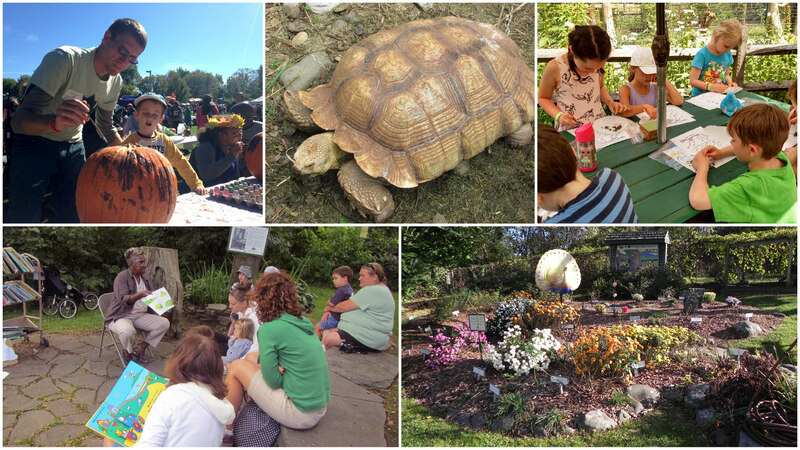 These are just a few of the experiences available at the Nature Center. 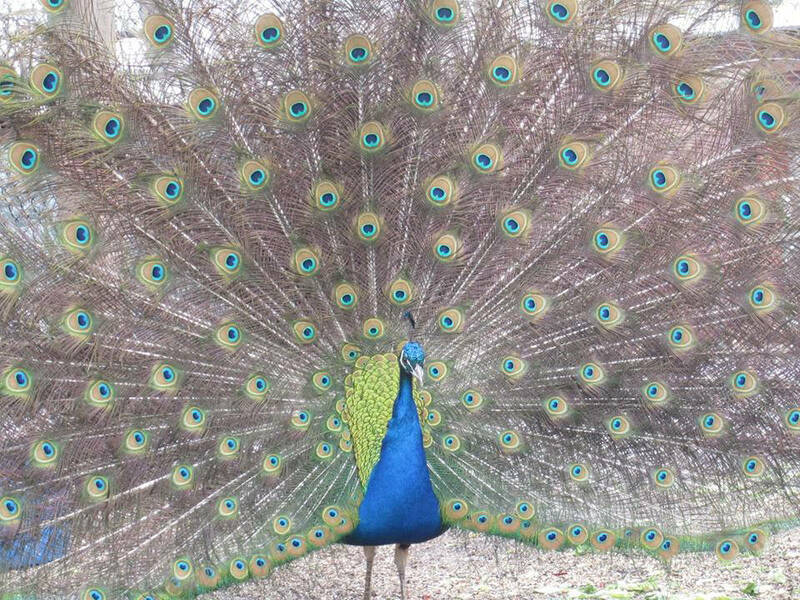 Watching a peacock shake his majestic feathery fan, inhaling the scent of a colorful rose blossom, or counting frogs camouflaged between the pond reeds are just some of the ways Forsyth Nature Center fosters a connection to the natural world for visitors of all ages. Programs, Gardens, Events, Animals, and more. When we go to the nature center we are always met with such kindness. We ask questions and get great answers. We learn something every time. My kids got up close and personal with a snake. That wouldn't be happening in our back yard! The staff is so knowledgeable about the animals and genuinely delighted to teach the kids about them. Use your mobile device to access our audio tour. Learn interesting facts and stories about the exhibits as you tour the Nature Center.